When Brett Favre was fined $50,000 by the NFL, I’d hoped this story would be gone. 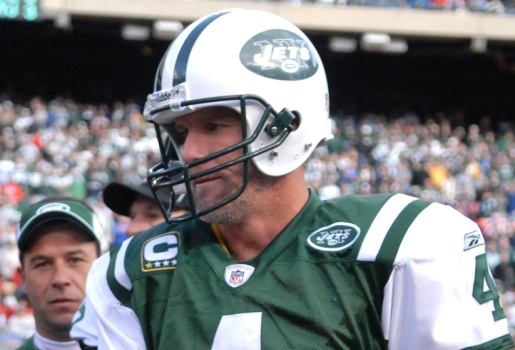 I am ready and willing to move on from this whole event, but things just keep getting worse and worse for Favre and his former employers the New York Jets. When the allegations were made by Jenn Sterger, two Jets masseuses spoke up to say that they’d also received improper texts from Favre. These two women, Christina Scavo and Shannon O’Toole, are now suing Favre and the Jets for sexual harassment to get their justice. If I was Brett Favre, I’d just open the check book. At this point, I’m willing to take up a collection to pay these women off just so they’ll stop coming forward to get money or redemption or whatever it is they want from Favre and the Jets three years after the incidents happened. I know that sexual harassment is a terrible thing, and getting fired after reporting sexual harassment is even worse, but I just want all this crap to go away.